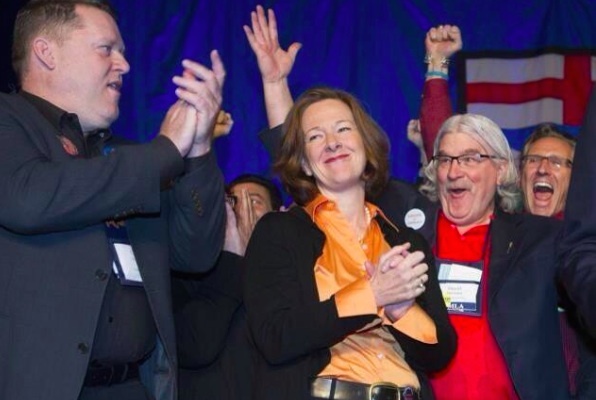 Premier Alison Redford and PC MLAs celebrate her 77% vote of approval from PC Party convention delegates in November 2013. Premier Jim Prentice is warming up for a victory lap as Progressive Conservatives loyalists gather at the posh Fairmont Banff Springs Hotel for the party’s annual general meeting on November 14 and 15, 2014. Mr. Prentice will join the convention basking in the glow of an impressive first two months as Premier and four recent by-election wins as party leader. What a difference one year has made in Alberta politics. 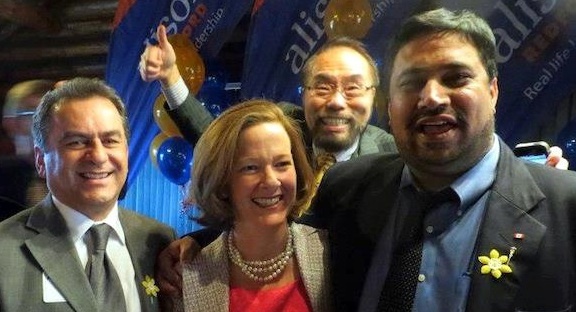 It was only twelve months ago that PC Party loyalists gathered at their 2013 annual meeting in Calgary to reward former leader Alison Redford with a 77% seal of approval. Less than five months later under a hurricane of controversy, Ms. Redford resigned as Premier of Alberta and leader of the PC Party. And after two years of what has felt like an endless stream of scandals, it finally feels like the adults might be in charge again at the Legislative Assembly. 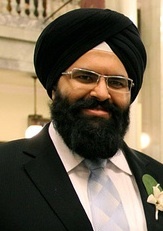 But Ms. Redford’s absence does not mean the PC Party is free of problems. 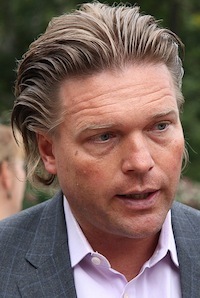 The party saw record low participation in its September 2014 leadership contest. Only 23,386 votes were cast in the one ballot race, down from a record high of 144,289 votes cast in 2006. There were also numerous irregularities in the voting process, accusations that some members were unable to vote and that one PC MLA was given improper access to voting PIN numbers. 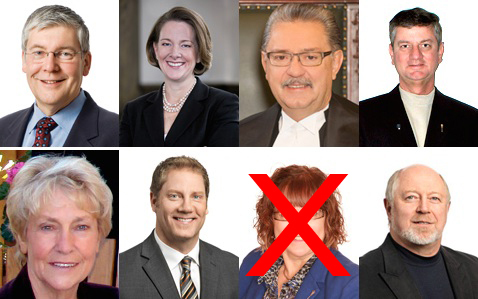 Future prospects for the PC Party may look better with Ms. Redford gone, but the party remains connected to a long list of broken promises made during the 2012 election. 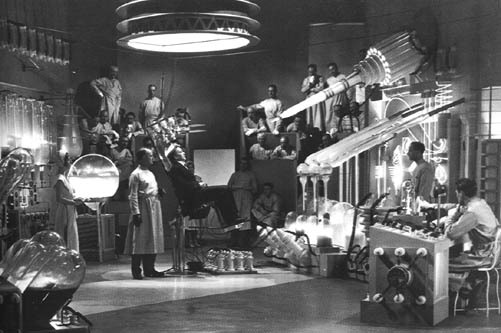 Impressed with Mr. Prentice’s calm and commanding swagger, the party faithful seem satisfied with sweeping away the memory of their embarrassing leadership contest and the catastrophe was triggered it. To the opposition Wildrose Party’s dismay, the by-election results suggest that many Alberta voters are willing to give Mr. Prentice a chance. The new Premier’s quick and efficient de-Redfordization strategy appears to have convinced many Albertans to, at least conditionally, once again warm up to Alberta’s natural governing party. 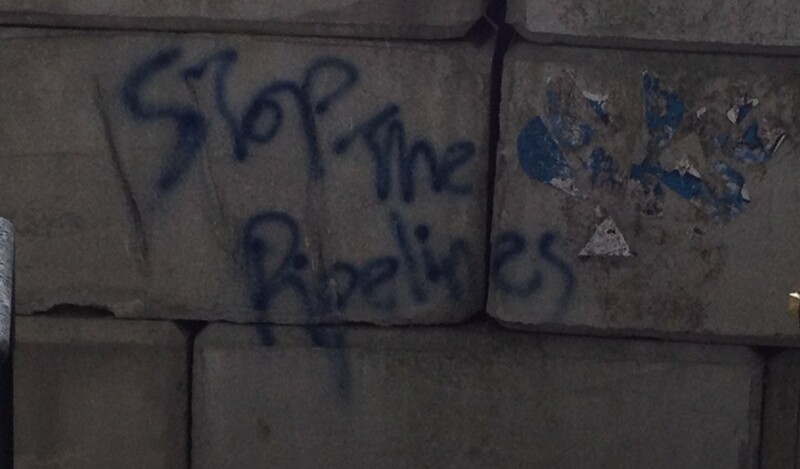 Mr. Prentice’s real challenge is a long-term one. Ms. Redford’s unpopular legacy left the new Premier with many easy initial wins to begin his tenure. But eventually Mr. Prentice will be forced to make tough choices, some of which may be unpopular. How he fairs when making these decisions, and responding to his critics, might be a more telling indicators of his political longevity as Premier. 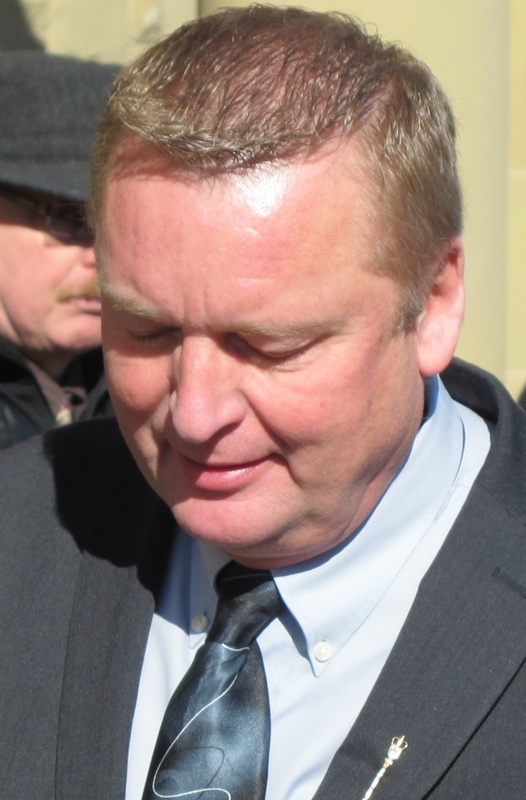 What about Term-Limits for PC MLAs? In a leadership contest devoid of much substance, an odd promise made by Mr. Prentice on August 21, 2014 did stick out. In the middle of the leadership campaign, the front-runner’s team built up expectations around an important announcement.It was expected to be big. 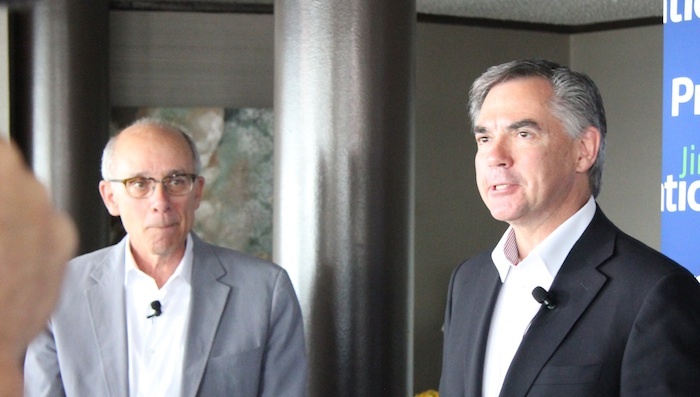 But when Mr. Prentice stepped up to the podium, he was met with confused stares when he proudly announced his second piece of legislation as Premier would be to impose legislated term-limits for MLAs. 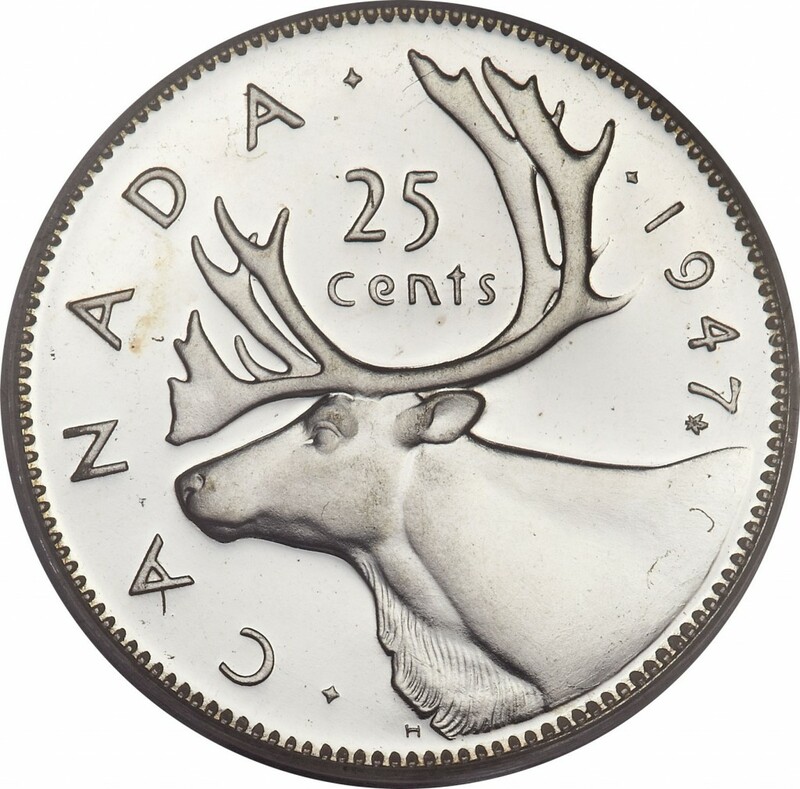 When it quickly became clear that a term-limit laws was probably unconstitutional and would likely to be struck down by the Supreme Court of Canada, Mr. Prentice, a lawyer, scrambled to change his tune. 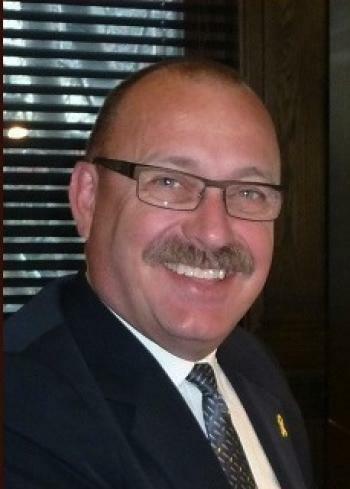 He soon downplayed his initial promise, claiming that MLA term-limits would be an internal PC Party policy, rather than law. It is yet to be seen whether Mr. Prentice will move forward with his term-limit agenda at this weekend’s convention in Banff. 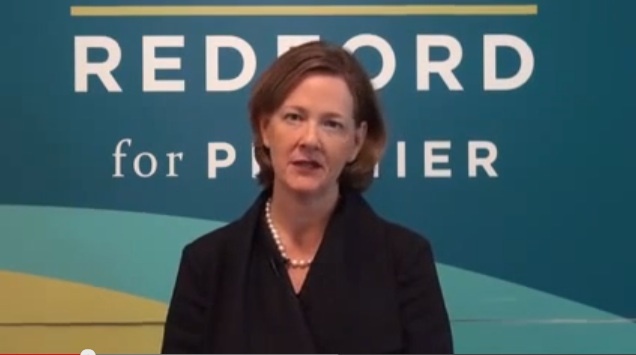 PC Party loyalists who attended last year’s annual general meeting and leadership review may remember this slick promotional video promoting the visionary leadership of Ms. Redford. This artifact serves as an important reminder of how quickly political fortunes can turn for the worse. This entry was posted in Alberta Politics and tagged 2014 Alberta Progressive Conservative leadership race, Alison Redford, De-Redfordization, Fairmont Banff Springs Hotel, Jim Prentice, Leadership Review, Term Limits for MLAs, Term Limits for Premiers, Unicorn Science on November 13, 2014 by Dave Cournoyer. 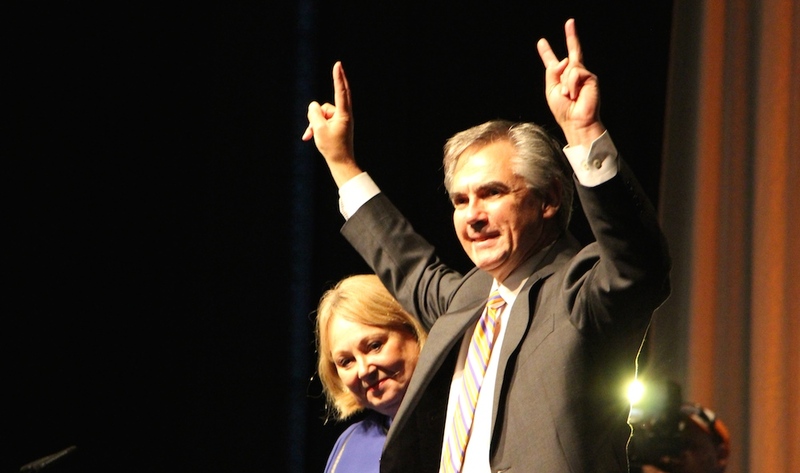 Alberta’s next Premier, Jim Prentice, delivered his victory speech with his wife Karen at his side. The atmosphere was noticeably subdued as I walked into the large hall at Northlands Expo Centre that hosted the Progressive Conservative’s leadership event. It was 6:45 pm and there were probably 300 loyal party supporters scattered across the hall, which looked like it could comfortably fit 2,000. By the time the results were announced at 7:36 pm by PC Party president Jim McCormick, the crowd appeared to have grown to around 400. Crowded around the stage at the end of the cavernous hall, supporters of former bank executive and retired federal politician Jim Prentice cheered when it was announced that he received 17,963 votes, 77% of the votes cast in the two day online and phone-in vote. It is a strong mandate from PC Party members, and would have been a landslide if not for the incredibly low voter turnout. 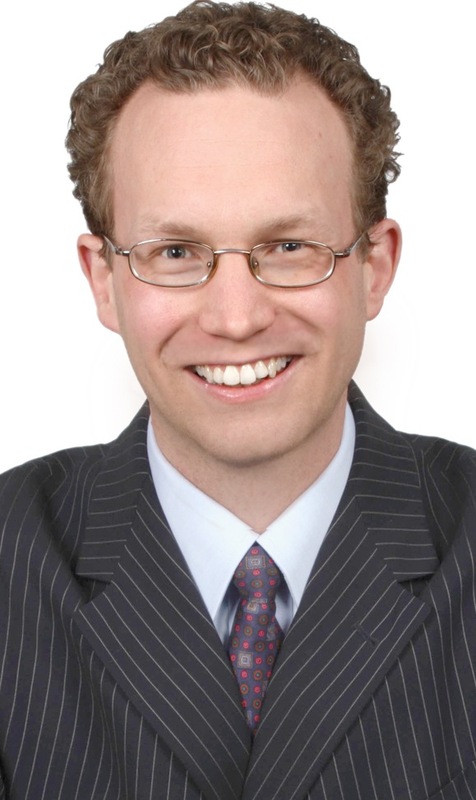 Only 23,386 PC Party members bothered to vote in the 43-year governing party’s latest leadership contest, much lower than the 78,176 who voted in the party’s 2011 leadership contest and the 144,289 who voted in 2006. I am told that around a total of 42,000 memberships were sold in this race, resulting in a 54% turnout. 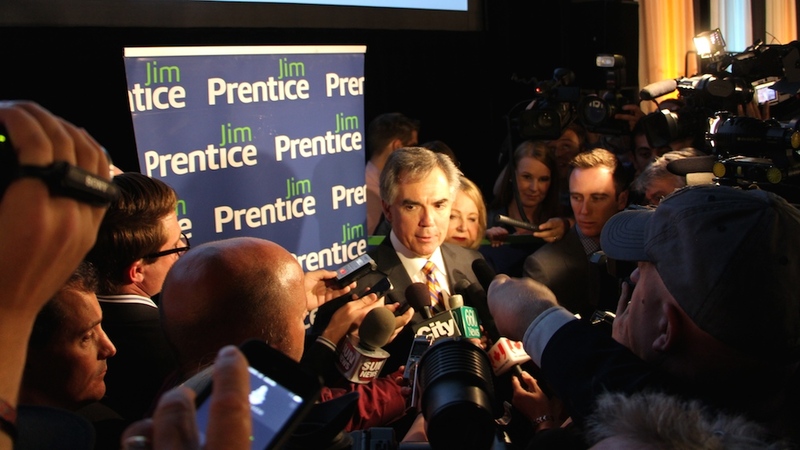 Jim Prentice scrums with the media after his victory speech. While pundits and politicos predicted for months that there would be a low turnout, 23,386 is shockingly low, especially considering Mr. Prentice publicly set a benchmark to sell 100,000 memberships. 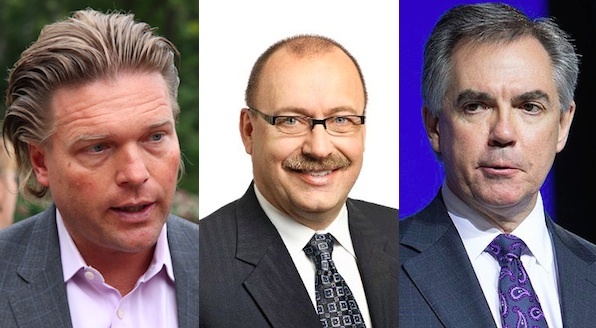 Interest in the race to replace former Premier Alison Redford was dismal, and the other candidates – Thomas Lukaszuk with 2,681 votes and Ric McIver with 2,742 votes – were unable to generate much opposition to Mr. Prentice’s well-financed and insider-supported campaign. Despite the excitement of Mr. Prentice’s supporters in the crowd, there was a weariness in the air and a feeling that even the PC Party’s most loyal activists are tired. Many of them are becoming aware of how hard the next election could be to win. 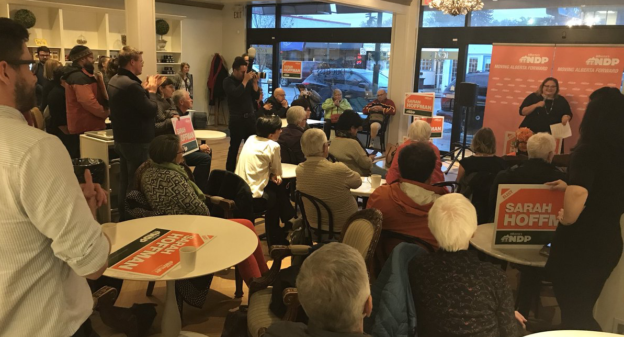 The Wildrose leads in the polls province-wide and support for the New Democrats has grown in Edmonton since the last election. And while support for the long-governing Tories has not completely collapsed, it was hard to walk away from this event without the feeling that the PCs are at their weakest. Mr. Prentice’s victory speech was not remarkable. In fact, it was boring and forgetful, but maybe a little boring is what the PC Party needs. After two years of endless scandals, backstabbing and controversy, I am sure most PC MLAs are looking for stability. And while Mr. Prentice is nothing close to exciting, he is confident and could be a stable hand who can attract new talent to the party. The politicos and MLAs I spoke with were glad the leadership contest is over and hope to put the technical irregularities of the PC Party’s contracted online voting system behind them. Although it appears there are PC members who were unable to vote or even able to vote twice because of technical glitches, it is unlikely that Mr. Prentice’s majority would have been drastically altered. After the celebrations die down, Mr. Prentice and his team of advisors will begin the process of transitioning into the Premier’s Office. The new Premier is expected to seek a by-election soon (it is suspected that more than one by-election could be called) and once he is sworn-in as Premier, a cabinet shuffle will occur. Aside from term-limits for MLAs, Mr. Prentice’s leadership campaign largely stayed away from details or promises, a point that no PC Party supporter I spoke with in the convention hall seemed worried about. In fact, some praised the lack of details and promises as a virtue and a good campaign strategy. 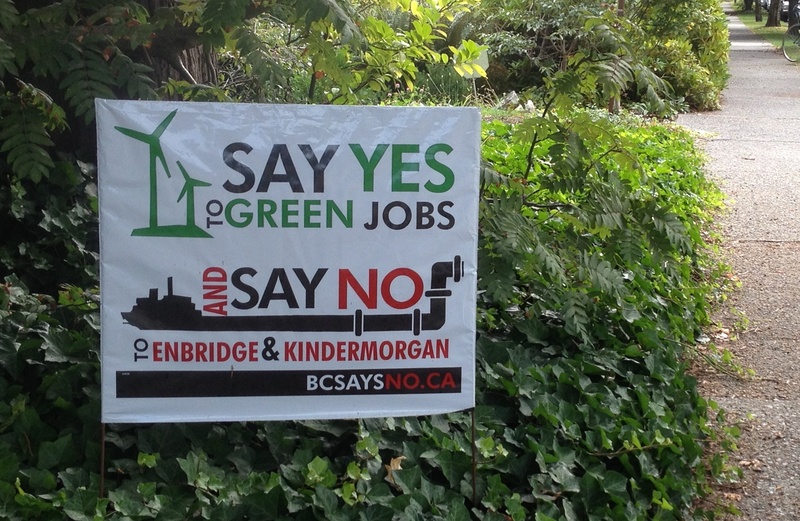 “By not making any promises, he won’t break any promises,” said one PC supporter. 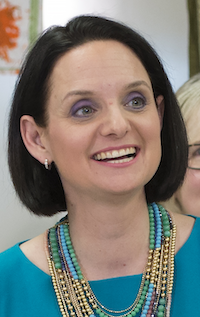 So, as this unexciting summer leadership race comes to an end, it is difficult to say what a new Premier will mean for Alberta. While most Albertans wait and see, I am sure many of the loyal Tories who spent their evening in that large convention hall are hoping this fall will bring calm, stability, and maybe a little boring to their long-governing party. This entry was posted in Alberta Politics and tagged 2014 Alberta Progressive Conservative leadership race, Alison Redford, Jim McCormick, Jim Prentice, Low Voter Turnout, Ric McIver, Term Limits for MLAs, Term Limits for Premiers, Thomas Lukaszuk, Vote Results on September 7, 2014 by Dave Cournoyer. So you’re a new Premier, looking for a way to make a splash – to make the public forget about the previous regime. You could do something simple like reduce Cabinet to 20, which is essentially the size of Cabinet (Associate Ministers are not actually Cabinet ministers). But that’s not really bold. Bold would be to end the whole idea of creating ministries to fulfill or establish a political debt. An issue rarely talked about is how cabinet shuffles increase costs, create inefficiency, and general serve little operational strategies, but political ones. 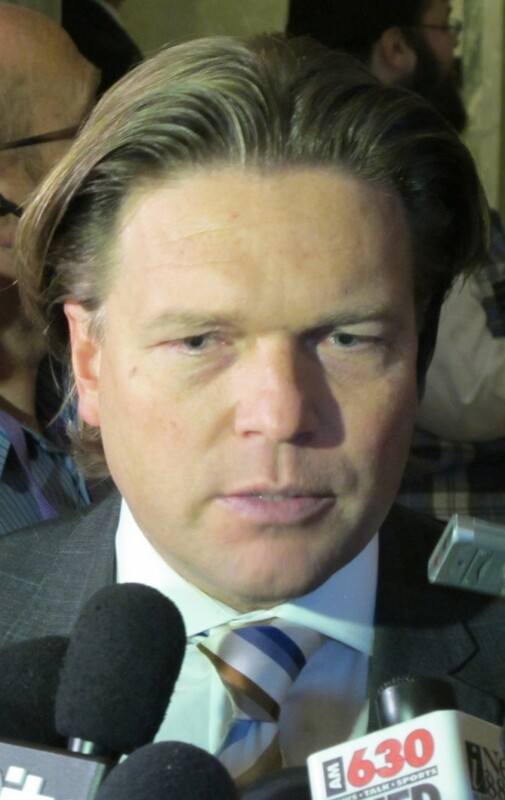 Thomas Lukaszuk has alluded to it with the Jobs, Skills, etc ministry that was created to keep him happy about being demoted from Deputy Premier. But for the bureaucracy, the effect is real. There are divisions that have been shuffled 5 times in 6 years; needing to learn a new ministry, new corporate culture, rebuild networks and adjust to new processes. Why? So a ‘leader’ can fulfill a political debt, not to make for a more efficient or effective government. To do something bold would be to reduce the number of ministries to 10 or 12, codify the departments in the Government Organization Act, and have any enactment past or future be tied to a specific department. The structure of government should be far more permanent than it is. This enables for more streamlined decision-making, and creates consistency for stakeholders and the public when interacting with government. It also reduces the number of senior appointments, reduces ‘make work” projects that come from a cabinet shuffle, like creating new websites, new letterhead, etc and it can consolidate internal services like finance, HR, policy, FOIPP and communications. To me, the structure of government and ministries and any proposed changes to them should always receive the scrutiny of the House. Government structure is fundamental and yet its structure is set to the whim of the Premier and not the will of the House. As a political benefit, this reduces the size of Cabinet, which inevitably improves the timeliness of decision-making. But what about paying back all those political debts? 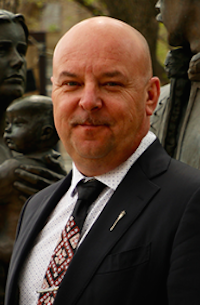 How does the Premier make sure Cabinet doesn’t run amok of what MLAs are hearing on the ground? Committees can be a real answer. 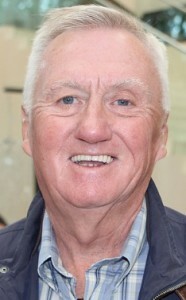 Being a committee chairman should have the same status as being a Cabinet minister. Some politicians are better in the executive and others are better in the law making. Effective committees can hold Ministers accountable, add more voices to the policy development process and ensures that the Legislature and not the bureaucracy is driving policy. Moreover, they give caucus a real means to engage in policy and keeping Ministers accountable. 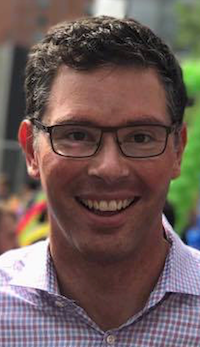 Speaking of holding Ministers accountable, why is that a Minister rarely executes the powers conferred on him or her without checking in with Cabinet or the Premier? A leader allows others to lead, to succeed and to screw up. If a screw up is that bad, fire the Minister. And since you have a stock of experienced legislators, you have plenty of options to choose a replacement. Allowing your Ministers to use their powers frees the Premier to focus on the broad policy objectives, building relationships and to build the political machine. Be bold by being boring. 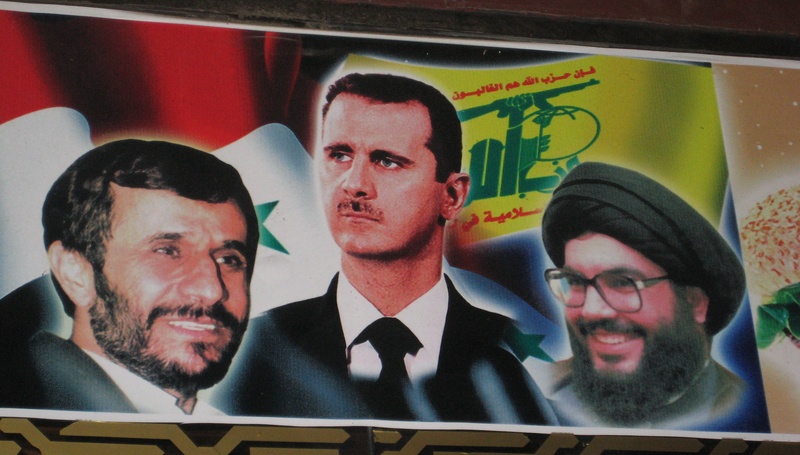 You’d be surprised how far it may take you in governing. This guest post was submitted, on the condition of anonymity, by a hardworking member of Alberta’s public service. This entry was posted in Alberta Politics and tagged 2014 Alberta Progressive Conservative leadership race, Alison Redford, Be Bold By Being Boring, Cabinet Size, Danielle Smith, Dave Hancock, Government Organization Act, Guest Post, Jim Prentice, Next Premier of Alberta, Policy Making, Public Service, Ric McIver, Thomas Lukaszuk on August 21, 2014 by Dave Cournoyer.